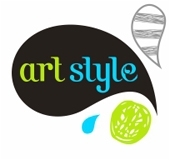 Since 2002 Art Style Ltd. has been working in the field of interior, exterior and souvenir advertising. The company has the reputation of a leader on the market, thanks to its honesty, the quality of its products and the speed of execution it offers. Thanks to its rich array of machines the company manages to cover almost all areas in the advertising business: outdoor advertising; digital, offset, wide format printing; transfer printing; making and branding souvenirs. Some of the implemented projects include: design and production of neon advertisements; branding window displays, billboards, advertising frames; printing flyers, silicone stickers, badges, etc. The mobility of our teams is a very important part of the working process, which allows us to work not only in cities like Varna and Sofia, but also on the territory of the whole country. Our customers are supermarket chains Piccadilly and Carrefour, Devnya Cement, Varna Airport, Central Cooperative Bank, Bor Chvor, Bulgarian cuisine restaurants BMS, fast food chain OLA, Algida ice creams, transport company PIMK, pharmaceutical company Sopharma, Holiday Management, Kolev&Kolev, children fashion shops Carnival Kids, clothes and shoe shops Pillini, Kupro 94 – manufacturers of dyes and medicines, Office 1, Office Element, OK Office, Office Express, Bulavto, Danube Tours, Fraktalis, Enita, Daphne, Varna Free University, Drago&Rado and many others.